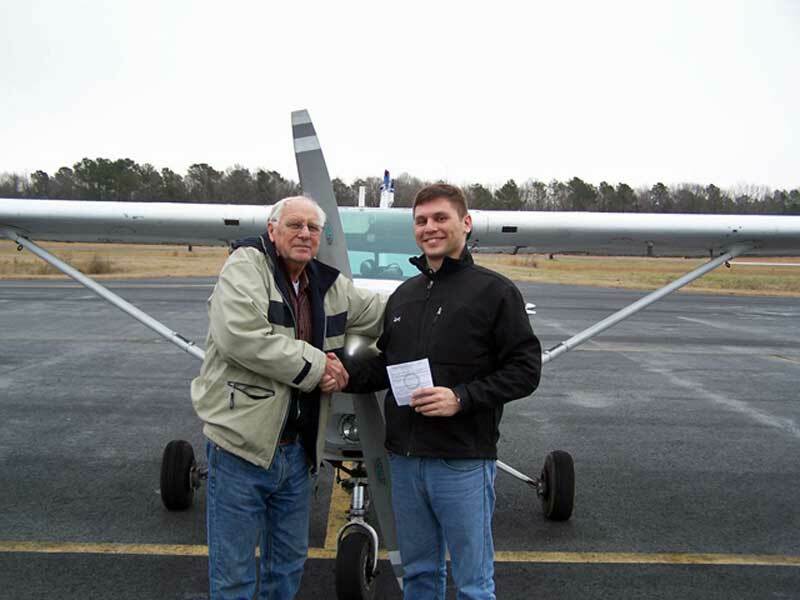 Mike Esposito passed his Private Pilot check ride on December 20th, 2014 with DPE Henry Joyner. Mike flew to the Tri-County Airport for the check ride in a Cessna 152, N5144L. 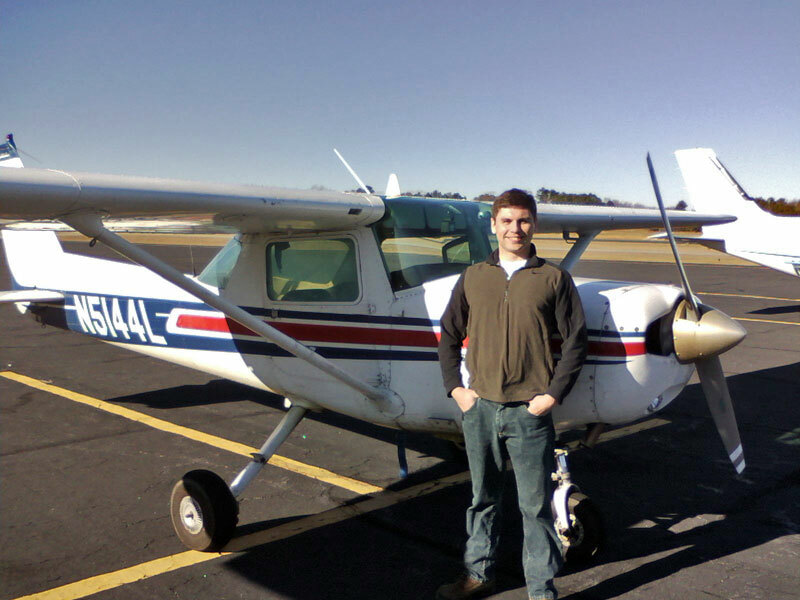 He is now planning on working toward an instrument rating and took his first lesson the same day he earned his private pilot license. 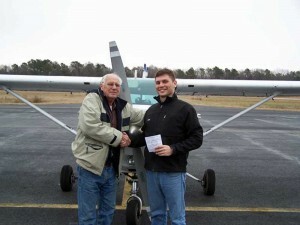 Mike Esposito was the first student pilot solo of the new year. 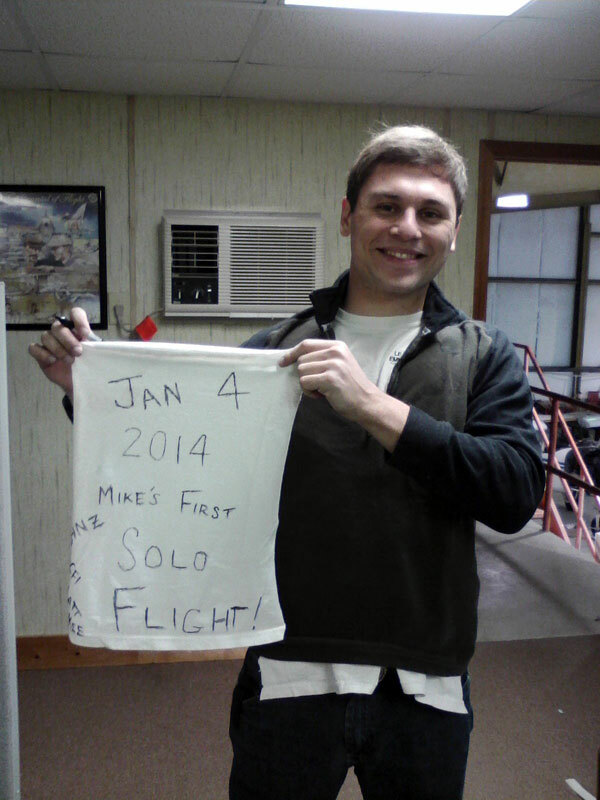 Mike soloed on January 4th, 2014 at the Oxford-Henderson airport. He flew a Cessna 152, N5144L, and completed his first landings as Pilot in Command. After having his shirt tail cut off, Mike took to the sky for a second solo flight on the same day.